Small farmers and craft brewers revive farm-brewed tradition. Agrarian ales utilize farm produce and grow beer-trail tourism. NEWCASTLE, Calif. — Farm-house breweries — historically small agrarian operations producing artisan ales on the same land where farmers grow wheat, hops and other beer-making ingredients — have evolved from old-world Europe to modern-day America, where today’s beer-trail tours come with a taste of wine-country style. In Northern California’s Placer County, just 30 minutes east of Sacramento, just a few miles off Interstate 80 en route to Reno. three farm-house breweries in the Sierra Foothills exemplify the reemergence of farmers hand-crafting beers from their hand-grown produce in destination-style settings that promote local agriculture and lifestyle tourism. 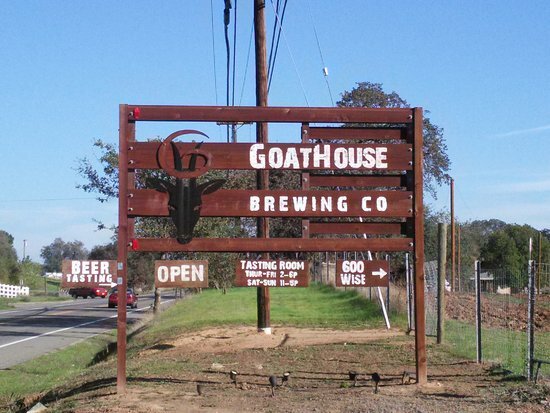 For Bay Area beer lovers, newly opened Hillenebrand Farmhaus in Newcastle, 4-year-old GoatHouse Brewing Co. and upcoming Dueling Dogs Brewing Co., both in Lincoln, offer a trio of brewery-tour, tasting-room and family-friendly farm-activity destinations. Drink beers brewed with farm-grown hops, Mandarin oranges, peaches, figs and berries in tastefully designed tasting rooms showcasing natural materials and settings. Enjoy Instagrammable working farms, all within easy driving distance of each other. One farm-house brewery has a farm stand where it sells its own Mandarin oranges and honey, along with produce and craft items from nearby farms and artisans. For an ag-accented side-trip, head to farm-rich Winters, via Interstate 505 near Vacaville, where open-air Berryessa Brewing Co. makes and serves unfiltered beer in a converted fruit-packing shed 20 miles west of Sacramento, America’s self-described farm-to-fork capital that is itself a hotbed of craft beer. In addition to profiles of individual farm-house breweries and tasting notes of their beers, the story can address whether Northern California’s emerging farm-house breweries — dotted along a route local marketers branded The Placer County Wine and Ale Trail — can match the popularity and success of farm-house breweries in New York, where The Farm Brewing Law was passed in 2012 to support the state’s hops farmers and promote farm-community tourism.